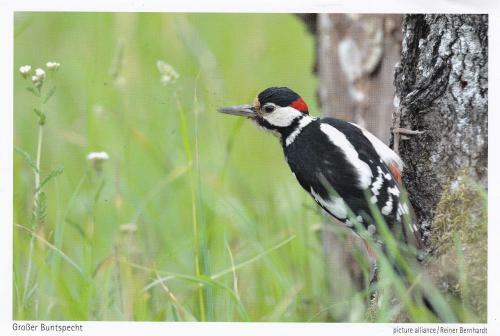 A male Great Spotted Woodpecker ~ Dendrocopos major. It is found across Eurasia and parts of North Africa. Across most of its range it is resident, but in the north some will migrate if the conifer cone crop fails.